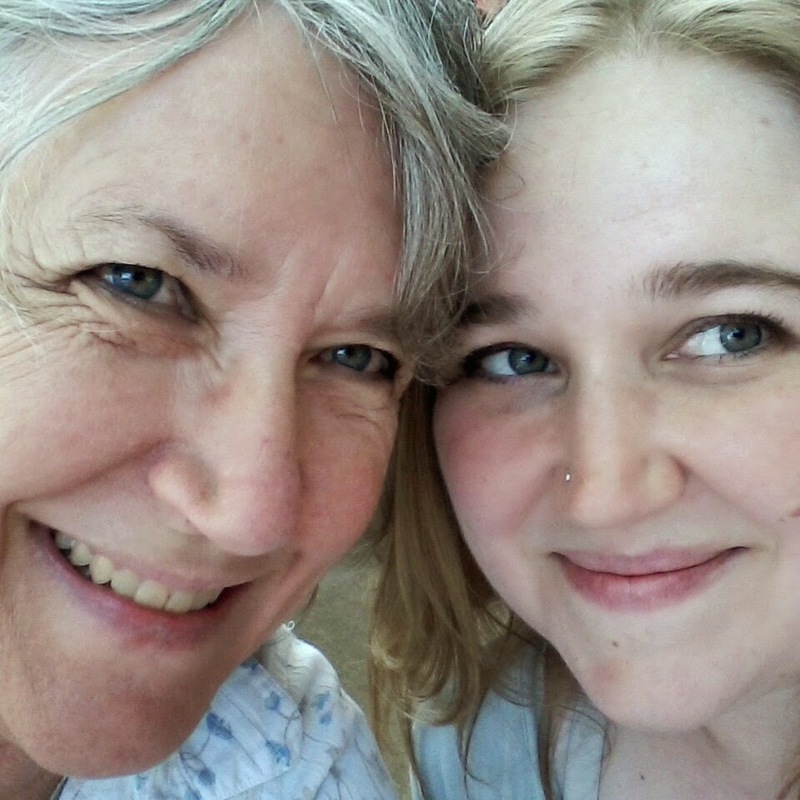 I'm in the Tulsa airport, waiting (im)patiently to begin the part of my trip that involves flying metal boxes, and I'm thinking about my mother. I love it when people say we look alike. Go on, say it. When I was little, somewhere in the vicinity of nine, my parents decided that it was time I visited my French family. At least, I assume that's what they decided. I was nine, as stated, so I wasn't privy to all of the discussions that led to things happening in my life. In any event, it was decided that I would be taken to Chateau-Thierry, where my grandmother's people live, and, happily, that is what happened. Unfortunately, my dad wasn't able to come for reasons that I assume were related to his job, so my mother and I packed our bags and headed to the Kansas City airport, flew to New York, then to Paris, then boarded a train and rode to my Tante Alice's house, where we were greeted with what is still the most delicious soup I've ever tasted. It was the best trip I had ever had, and to this day is top 5. I tell you that to tell you this: My mother is one hell of a woman. I don't have an inquisitive nine-year-old to corral. I'm just responsible for myself, no one else, and certainly not someone who is almost completely dependent on me for their every need. Dang, mama. My hat is off to you. All the hats I've ever owned. Hell, all the hats I've ever seen. All off, to you. Because of you, I can do this.